Wait, make that three: Taylor Ewert winning the race walk national championship. Of all the events this weekend, Ewert in the 1 Mile race walk was arguably the strongest lock to win. The Beavercreek (OH) standout has been honing her craft over the years and owns nearly every junior national record in the race walk at nearly every distance. This victory was her sixth national championship overall. 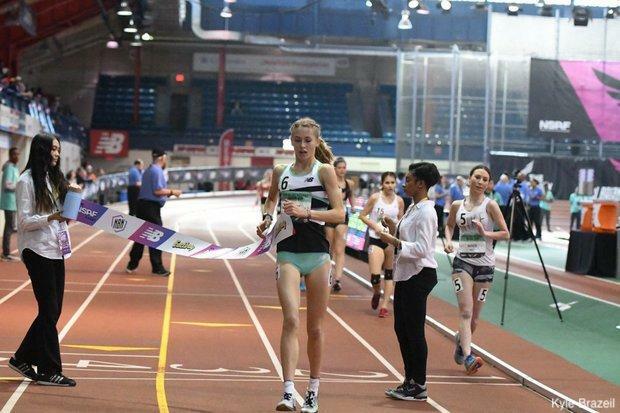 Ewert stormed away early and never looked back in this one as she took the win in a national meet record 6:34.53. Ciara Durcan (Pearl River, NY) placed second in 7:14.85. The Ohio native was six seconds off of her 6:28.21 junior class and national record that she set at the Millrose Games last month. She will be back on the track on Sunday for the Championship 2 Mile.